If you or your clients don’t have enough leads or are not satisfied with the conversion rates of your existing leads, chances are you don’t have adequate social proof. 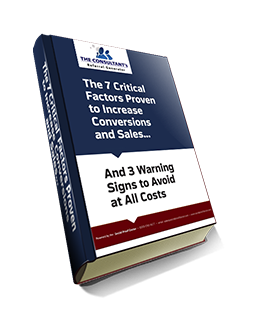 generate more revenue and more profitability. Consulting Gold offers a world class process to acquire the quantitative and qualitative social proof necessary to significantly move the needle on your lead generation and lead conversions. Our process will also identify new product/service opportunities and multiple demographic segments within your current list of clients that will increase your effectiveness and results. 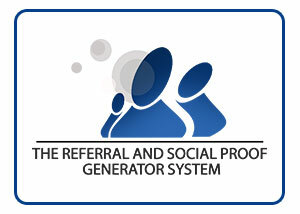 Consulting Gold’s Social Proof 30 Day Implementation process that will uncover and acquire your social proof. Our team of experts will deliver scientific game changing, quantitative and qualitative data in all 5 social proof components for your exclusive use. Once acquired, your marketing team can implement your social proof to develop more targeted campaigns and offerings that will meet the specific wants and needs of your clients. Most companies do give value to their clients, but in today’s market, that’s not enough. What influences new prospects to engage your products/services over the competition’s is ‘Recognized’ value. Online review system to promote your reviews on your site and others such as LinkedIn, Google Plus, YELP and others. Upon our final feedback session in our Social Proof 30 Day Implementation process, whereby we deliver, present and unpack your quantitative and qualitative social proof additional services – you may decided you want more of our services. You and your team may decide to take the next steps to implement your newly acquired social proof or you may need additional services from us. Consulting Gold has assembled an ‘A’ Team of the nationally acclaimed professionals to deliver deliver turnkey or singular solutions.